Isaac Dumont de Bostaquet- Author of the well-known "Memories…" (cf bibliography). 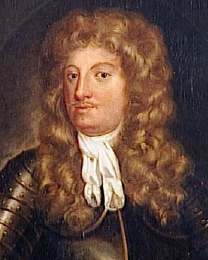 This Norman gentleman born on February 4, 1632 in his fief of Bostaquet close to Dieppe, son of Samuel and Anne de La Haye, married three times, he died on August 14, 1709 in Port Arlington (Ireland). He had to emigrate after the Revocation of the Edict of Nantes and then served Guillaume of Orange. Abraham Duquesne. - One of the very rare person of his time which was authorized to remain Protestant in France in spite of the Revocation of the Edict of Nantes. Son of another Abraham and Marthe de Caux, he was born about 1610, deceased on February 1st,1688 in Paris and buried in his castle of Le Bouchet, feud set up in marquisat by king Louis XIV. Fist, he was capitaine of ship then he made function of admiral of the Louis XIV's fleet without having the title (which he might obtain only in exchange of his conversion to Catholicism). The town of Dieppe, of which he is one of the most famous children, made him set up on September 22, 1844, on the Nationale place, a statue carved by Dantan. Vergé-Franceschi, Michel.- Abraham Duquesne, huguenot et marin du Roi-Soleil.- Paris : France Empire, 1992.- ISBN 2-7048-0705-1. Return in the homepage "Pays de Caux"